Beyond pumpkin spice lattes, Jews have always embraced the pumpkin. As the end of October approaches, and the High Holidays recede into memory, American Jews turn their attention to two different holidays: Halloween and Thanksgiving. 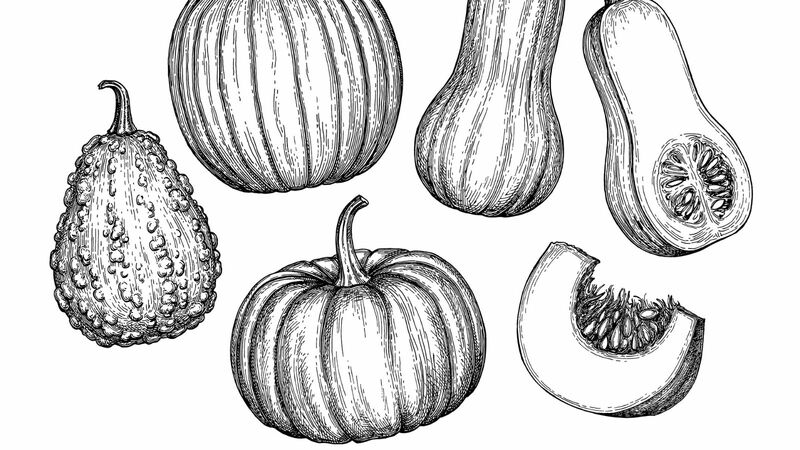 The same humble vegetable, the pumpkin, plays a starring role in both of these quintessentially American holidays. And that is certainly fitting: People have been cultivating pumpkin in North America for thousands of years. Valued for its versatility and it heartiness, pumpkins were a mainstay in the diet of Native Americans by the time Europeans arrived. Some may even remember how those early Pilgrims narrowly avoided starvation during the winter of 1620 by eating pumpkin and other crops shared by their Wampanoag neighbors. But Americans are not the only ones who have a long and colorful association with pumpkin. Since almost the first moment explorers from Europe returned from the New World, Sephardic Jews have embraced pumpkin, incorporating this once-unfamiliar gourd into numerous dishes — both savory and sweet — and even making it an essential part of fall festivals. But what was the reason behind this Sephardi love affair with pumpkin? As is typical with Jewish cuisine, the answer is complex. Pumpkins were one of the first crops from the New World to be brought back to Europe in the 16th century. As Spain sponsored many of the early trips to the Americas, its inhabitants were among the first Europeans to learn about pumpkins. Of course, at that time, Spain was also home to a large population of Jews — until the Inquisition, that is, when they were expelled and dispersed around the Mediterranean or forced to convert to Christianity. Indeed, some of those converts, still facing persecution in Spain, were among the first Europeans to settle permanently in the New World — a fact that becomes significant later in our story. Quite soon after Europeans discovered pumpkin from the Americas — as early as the mid-16th century, in fact — they began planting this hardy and easy-to-grow crop, which had the additional benefit of keeping for months in storage during the cold winter. But, despite these attributes, most European consumers remained wary of actually eating pumpkin. In France, for example, pumpkins were used mainly as animal fodder. In Italy, pumpkin was thought of contemptuously as food for the poor. In The Encyclopedia of Jewish Food, Gil Marks notes that, by contrast, Iberian Jews quickly embraced pumpkin as a culinary ingredient. The Sephardim who fled to nearby Italy from Spain brought pumpkin with them and soon Italian Jews began trading in pumpkins as well as cooking with them. This trade was facilitated in part by diaspora Jews’ continued connection to Spain through the Marranos — Christian converts who remained in Spain and often still secretly practiced Judaism. In The Book of Jewish Food, Claudia Roden points out that since it first appeared in Italy, pumpkin has been associated with the Jews. Ravioli filled with pumpkin — a familiar dish to anyone who frequents Italian restaurants at this time of year — was originally a Sephardic creation. Italian Jews also developed recipes for pumpkin puree, pumpkin flan, and pumpkin fritters, a Hanukkah delicacy. Starting in the second half of the 16th century, dishes made with pumpkin spread throughout the Sephardic world. Pumpkin, which is in season in late summer and autumn, became associated with fall holidays such as Rosh Hashanah and Sukkot. Claudia Roden notes that the pumpkin’s rich golden color evokes happiness and nearly all New Year’s foods carry some symbolic wish for happiness and prosperity in the coming year. Then there was the vegetable’s name. The word for squash or pumpkin in Arabic is qara, which sounds like the Hebrew verbs for “to rip or tear up” and “to read or call out.” Thus, a custom developed among Sephardic Jews to eat pumpkins or squash at Rosh Hashanah and recite a special prayer that any harsh decrees that may have been issued be “torn up” and that the speaker’s merits be “read out” before the Creator. Pumpkin’s thick, protective outer rind led to another symbolic association with the New Year: by eating pumpkin on Rosh Hashanah, Sephardic Jews expressed their hope they would be protected in the year to come. Each Sephardic community developed its own pumpkin specialities. A jam or sweet spread made with pumpkin was common throughout the Sephardic world, especially as a Rosh Hashanah delicacy. Pumpkin was also commonly used in soups and stews, just as it is today. In addition to these ubiquitous dishes, each Sephardic community adapted pumpkin — which is nothing if not versatile — to its own cuisine and paired it with the ingredients available to them. Turkish and Greek Jews made sweet pumpkin pancakes while Syrian Jews preferred their pumpkin pancakes spicy. Tunisian and Moroccan Jews served pumpkin as an accompaniment to couscous. 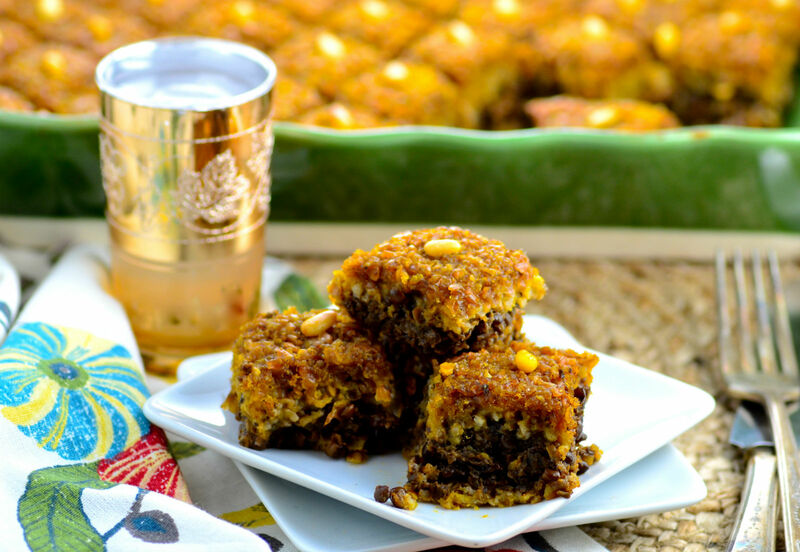 Lebanese Jews made a vegetarian kibbeh using pumpkin instead of meat. Pumpkins traveled as far as Central Asia and India where Jewish communities again adopted it. Bukharian Jews from Uzbekistan filled their savory pastries, or bishak, with pumpkin, while the Bene Israel community of India made pumpkin curry and a dessert called halwa from pumpkin, nuts, spices, and cream. It is widely accepted that Sephardic Jews embraced pumpkin — and indeed other New World crops such as tomatoes and eggplant — earlier than their gentile neighbors did. What remains somewhat a mystery is why. Why did the Sephardic Jews, when faced with these strange, thick-skinned gourds from the New World, decide to integrate them into their cuisine when so many other Europeans would not? Is it that Jews have always been open to new foods and ingredients because of their experience of constantly moving and thereby constantly being exposed to new foods? Jews are famous for adopting the foods of the country they found themselves in. Surely that adaptability was part of it. But even beyond the necessity of adapting to new foods as they dispersed into the Diaspora, Jews have always had a certain openness and curiosity about food that set them apart from those around them. The network of Jewish merchants, peddlers, and traveling scholars who passed from community to community, traversing geopolitical borders, carried tales of exotic foods and dishes from faraway places — and sometimes even carried the foods themselves — that piqued the curiously of even isolated Jewish communities. Moreover, Jews were often merchants in foodstuffs — inspired in part by their own needs for certain ceremonial foods, such as an etrog at Sukkot. Some of those converted Jews, or Conversos, that landed in the Americas with the early Spanish settlers became exporters of New World produce and used their connections with Sephardic communities in the diaspora to sell them. That too may have made Jewish communities in Europe and the Mediterranean more likely to accept those unfamiliar foods — the fact that fellow Jews were selling them. Whatever reason, or combination of reasons, caused Sephardic Jews to embrace pumpkin as a culinary ingredient, Leah Koenig notes that this early acceptance by Jews had important ramifications for the future of New World foods: “Sometimes, Jewish communities inadvertently helped normalize… unfamiliar ingredients and helped usher them into wider acceptance over time.” Not only was this true for pumpkin, but for many other New World vegetables as well, from artichokes to tomatoes. So this fall, embrace pumpkin as part of our heritage both as Americans and as Jews. 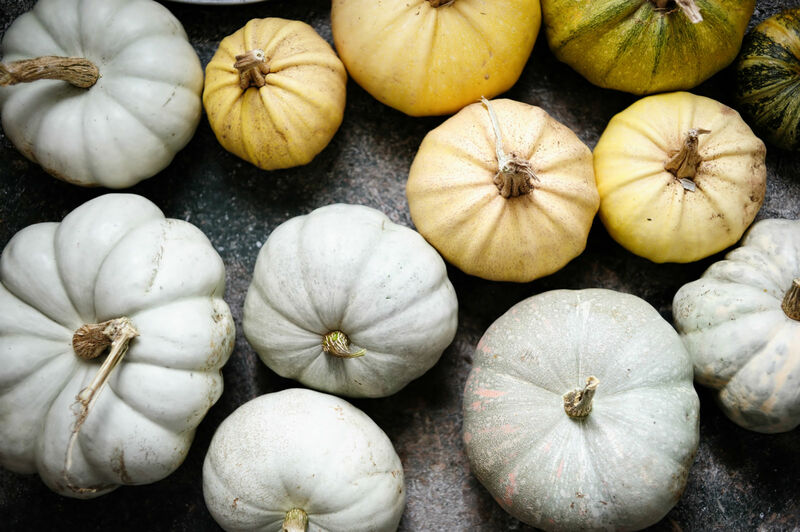 In honor of how our Sephardic ancestors used pumpkin in a wide variety of dishes, think beyond pumpkin pie and pumpkin bread and incorporate pumpkin into some savory dishes as well. Below are a few ideas to get you started.